Every agency is unique, with its own character and culture that stems from the one-of-a-kind make-up of its team. As an agency owner, it’s important to remember that your agency may not always be the right fit for a prospective client, even if the potential pay-day could be huge. As we discussed in our previous “play” on dealing with a distressed client relationship, it’s easier to prevent a bad client relationship from forming than to repair and manage one once it has begun. Luckily, for this week’s Agency Framework “play” we’ve asked agencies across the country about the strategies they use to choose their clients wisely and what they do if a client relationship becomes too much to handle. Many agencies start at just “budget” – if they have the money, they can be a client. However for a positive and long lasting relationship, there are three critical criteria. The first and foremost, is professional respect. It is immensely important we have a common understanding of how to treat each other – no relationship can survive without a foundation of respect and professional courtesies. When the foundation of the relationship is their education, success, and experimentation, all become easier. Second, is readiness for change. Many clients know that they need to do something different but are not emotionally ready to handle the change. They will fight the entire way, and come from a place of mistrust of all suggestion. The education process becomes a drain on resources and the main focus of time spent on the account instead of the actual work. Lastly is budget. If a client does not have enough money to be successful in the space there is no point in just cashing a check. First impressions are everything in business. There are always red flags that agency owners should look out for when speaking with prospective clients. Your sales process should be designed to weed out prospective clients that may not necessarily be the best fit for your agency. This goes beyond simple issues like cost and includes behavior, etiquette, and more. We used to take on any type of project with any client that could afford to pay. However, our policies have changed dramatically in that area. Now we only take on projects that are the right in our wheelhouse, and as a result we turn down quite a few more projects than we take on. But even more importantly, we only choose to work with clients that we categorize as ‘nice.’ It is pretty easy to determine if someone is going to be a good client in the first few minutes. These 2 changes in how we choose clients have had a huge, positive impact in our profitability and overall happiness as a company. One of the most basic questions for a new agency to ask is whether or not a prospective client has worked with other companies in the past. If a potential client is unwilling to discuss their past experiences with other agencies or if they speak poorly of the past agencies they’ve worked with. Don’t be afraid to investigate further and ask questions to discover why those relationships went sour. Our team does its due diligence to understand a clients’ past relationships, pay history (when available), references, and business goals. If a client isn’t willing to talk about its past experiences with other agencies, it’s usually a sign that something is “”off””. We also take the time to meet with a potential client to discuss exactly what it’s like to work with our team. If there is any apprehension, or if it feels as if the client isn’t a great fit, we raise these concerns before moving forward in an engagement. A potential client that has worked with more than one agency in the recent past should be an immediate red flag. This may be a result of overly high expectations, improper budget, or a number of other causes, but nevertheless, it’s never a good sign! Communication style verbally and through email. Unreasonable expectations regarding project requirements, timeline and cost. An immediate red flag is that they have bounced between multiple agencies in the last 2 years (nothing satisfies them) and how they speak about those agencies. Odds are, that is how they’ll be talking to you a year down the road. 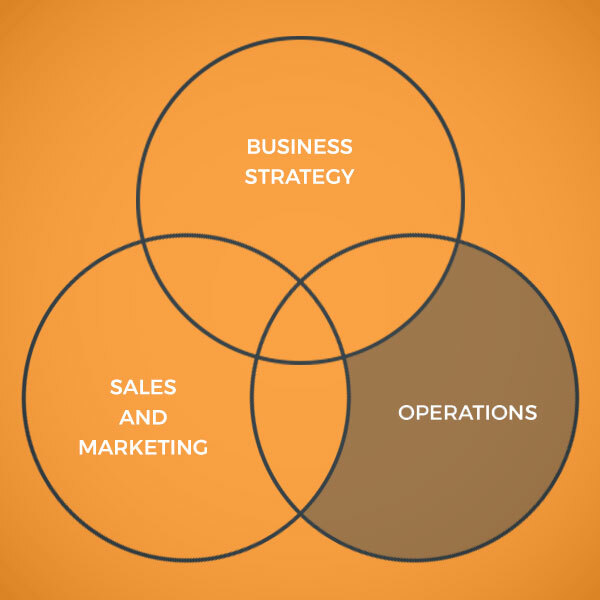 Your business strategy should clearly delineate the type of client your agency will work with. If a prospective client is unwilling to provide a reasonable budget to achieve their expectations, the relationship will never go anywhere. Further, clients must be ready to invest more than just money. Working with an agency is always a two-way relationship. The client must be ready to change and adapt based on the suggestions of the agency. A prospective client that refuses to take action based on your expert advice either does not trust your judgment or is not ready to work with an agency. Our team takes time learning as much as possible about each potential client through a discovery phase, where we better understand the business’s current brand image and marketing strategy. When a company is not prepared to dedicate resources to their marketing strategy, or they have difficulty aligning the focus of their marketing and brand efforts with their sales strategy, we know that the company might not be ready to engage with our team or our services. There will come a time when a prospective client asks more of your agency than you’re willing to or capable of providing. If their proposed budget aligns with their expectations but your agency does not have the skills to tackle a campaign of that nature, don’t oversell yourself. There’s no shame in being honest and open and admitting that your agency is not capable of providing the level of service that a prospective client desires. The two obvious signs are budget issues and skills fit. Demanding a silk purse for the price of a sow’s ear is an obvious issue, as are outlandish demands (e.g. rank me #1 by end of next week!). The skills fit is an issue where you are in the driving seat, and you must be realistic in your capabilities. If you cannot deliver client expectations, then no matter how well those expectations are managed you are going to create a monster of a client who is justifiably upset with you. Once your team decides that a potential client is not the right fit for your agency, be sure to act fast. You don’t want to waste either sides’ time, so be as direct as possible. Approach the client with respect and honesty. Explain why you don’t feel that they’ll be a good fit and listen to their responses openly. Offer suggestions on the type of agency they should look for or even refer them to another agency you know. As soon as we realize we can not be successful together, we simply state we are not the proper fit and explain why. There is no shame in it, as not every relationship is meant to be. We also will recommend the type of agency they should look for and help them to be successful with some professional insights based on conversations to date so any time spent with us is not wasted and gets them closer to their goal. We aren’t a good fit for every prospect who reaches out to us and neither are they. If there isn’t a fit we politely tell them why and whenever possible pass them onto a trusted referral who we feel maybe a better fit. Telling a potential client that you won’t be able to work with them is never easy. Some clients may react strongly to the news, but it’s your responsibility to do everything you can to keep that bridge from burning. If possible, try to build the relationship even stronger! Although this relationship may not have worked out, you never know where your next referral will come from! Communicating with a strong sentiment of honesty is always the best approach. A prospect comes to your agency not just for a quote, but for advice. Part of the advice that they seek, but will not necessarily articulate, is whether you are the best fit for their needs. When it comes to the point that their needs do not align with your offerings or ideal client, this needs to be handled with transparency. People usually appreciate it if you can be upfront about it and add in a suggestion for their next step. Aside from this being the right way to handle it, remember that you never know where your next referral could come from, so instead of burning the bridge, help build it stronger, and try to clearly explain what situations your agency works best in. If you have done a good job up to this point in the sales funnel, they should leave knowing that you are good at what you do, and that you would treat their friend’s companies (who you align better with) with integrity. – Chris Kirksey, Direction Inc. Sometimes despite your best efforts a client that isn’t the right fit will slip through the cracks. Once you’ve signed a contract and the relationship has begun, it can be awkward to “fire” the client. If a client becomes too much to handle, don’t be quick to point the finger. Look inwards and see if your team can learn anything from this experience and adapt. This boils down to problem solving. First understand the problem, then find the source of the problem. We first ask ourselves if this is something that we can fix or overcome on our end. A lot of times problems and experiences with tough clients teach us a ton about ways in which we can improve ourselves and our process. Once we find ways in which we can improve, we take this to the client and then focus on what we need to be successful. If they are unable to fulfill what we need to be successful, we fall back on our request and either pause their account or ask them to re-negotiate to find a solution or to help find them a solution outside of our offerings. The key is – we treat people how we want to be treated. This usually isn’t the case, but let’s face it, it does happen once in a blue moon. In these cases, we usually have a heart-to-heart with the customer and find a good stopping point, where they can bring in another agency or consultant to take over. That said, we look at it as a challenge to work with different types of companies and personalities, and tend to look inward when a relationship deteriorates as opposed to blaming it on the other party. I think this is the reason why this rarely happens to us. I hate giving up on someone after working with them but sometimes you have to stop putting yourself through it. I have had to “fire” clients but not very often. One in particular was very hard to work with. I called them (because email is toneless) and quietly said, “I’m sure you are finding it difficult to communicate with each other. I feel like it’s better if you work with someone else.” Then give them a couple agencies in the area. It’s better to be direct and get it over with than hinting around for them to find someone else, because they probably won’t. Honesty is the best policy – but be nice about it (if possible). – Tammy Finch, Web Services, Inc. The need to end a client/agency relationship is a lot like a marriage proposal…if it is coming as a surprise to anyone it speaks volumes about the level of communication and dynamic you have. Ending a relationship should be handled the way the entire relationship is handled – with professional directness and honesty. There is no need to be disrespectful but providing three clear reasons or examples of why the relationship is not working at least creates common understanding. Additionally, offering suggestions for a type of agency or program that may be a better fit, based on time together, is also a professional courtesy that should be extended. With problematic clients, we generally stay away from recommending a specific agency as once we do we feel tied to a result we cannot control and also do not want to push a difficult situation on another agency.